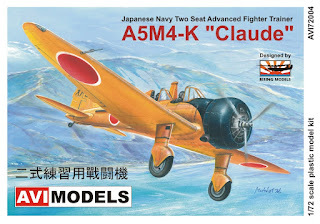 In something of a current modelling 'Claudefest' in both scales, Avimodels, designed by Rising Decals, have released two more Claude variants in 1/72 scale. 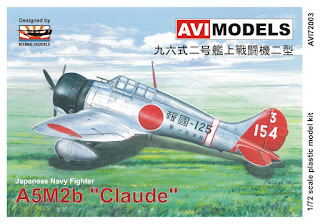 The Mitsubishi A5M2b (above) AVI72003 is the enclosed canopy Claude which comes with three markings options as shown below. 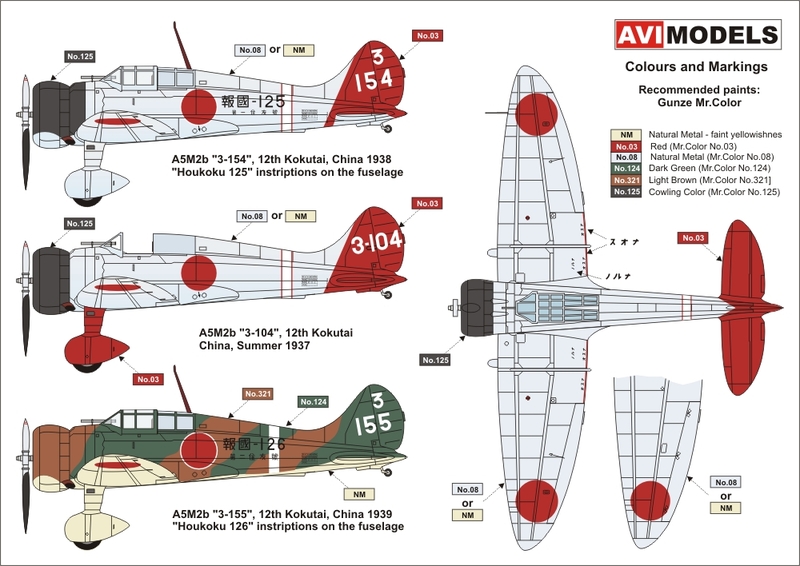 The decals, all for 12 Ku in China, are well chosen with a Houkoku-emblazoned bird in classic silver and red, a red-legged aircraft with the sliding canopy removed and another Houkoku-emblazoned machine camouflaged in green and brown. 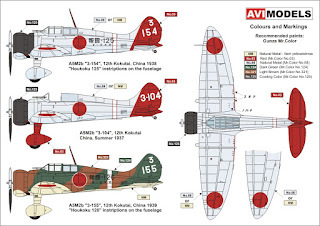 This is a unusual variant which saw limited use and will make an interesting comparison display with the Ki-27 'Nate'. The canopy on this one is injection moulded and very clear. Also released is the two-seat trainer variant A5M4-K AVI72004 with two markings options as shown below. An Oita Ku example in dark green over orange-yellow with spat-stripped undecarriage and an overall orange-yellow bird from the same unit. The two windscreens for this one are also injection moulded. 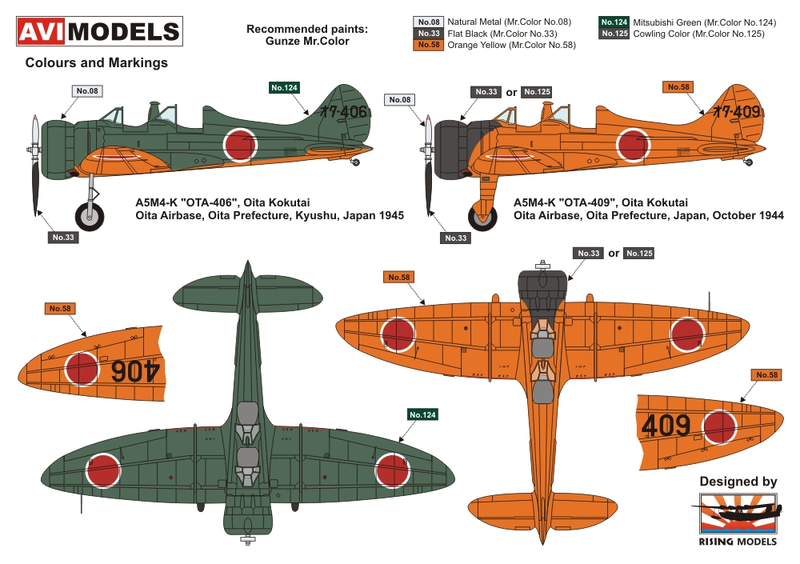 Instructions warn that these kits are produced with short-run technology and intended for experienced modellers only. Finally, in their accessory series Rising have released a pre-painted photo-etched instrument panel sheet (above)to go with their A5M1-3 kits - RDAcc-018. The sheet includes a set of seat belts too. 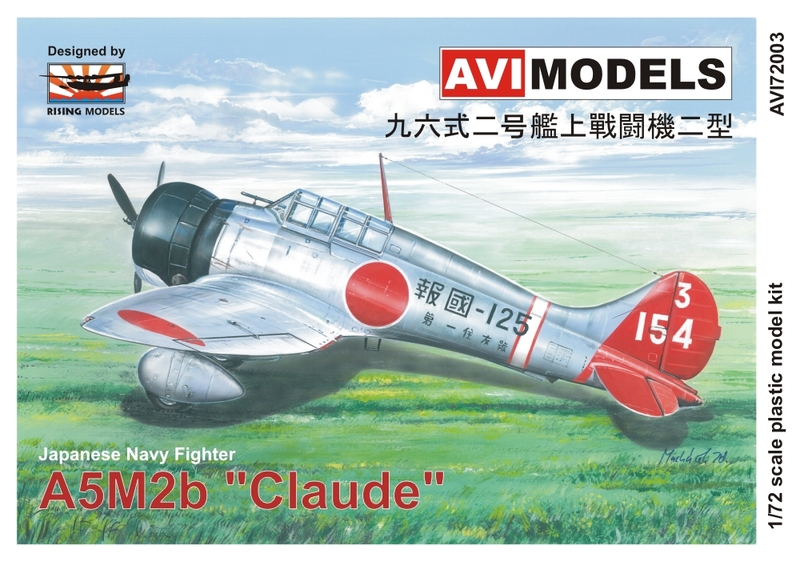 A resin Kotobuki 2 engine for the A5M1 is also on the way. 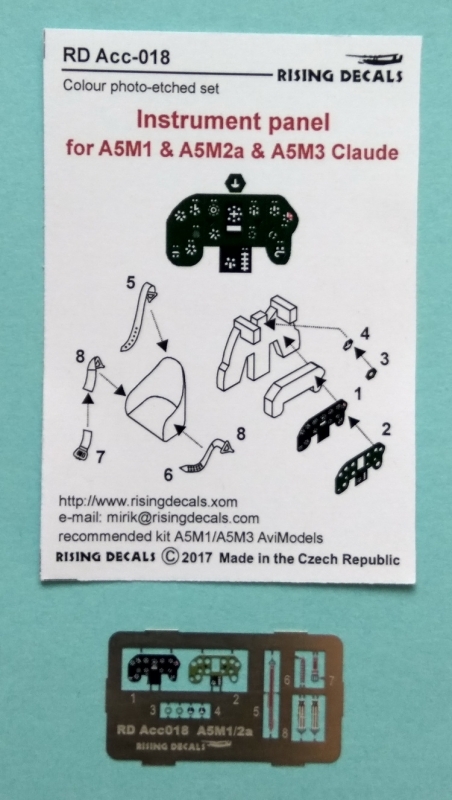 With special thanks to Mirek of Rising Decals for the review samples. These look like great additions that will fill holes in people's collections I am sure.